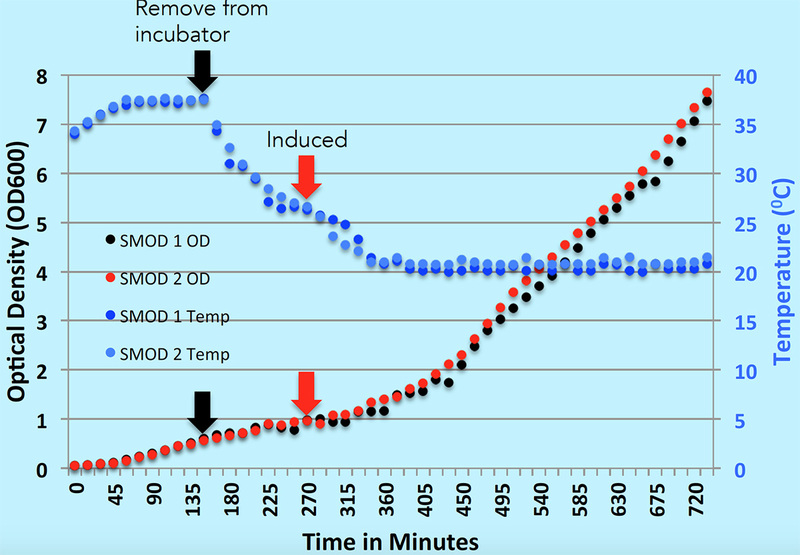 SMOD delivers real time OD600 and temperature data so you can monitor suspension cell culture growth without any intervention, wherever you are. Fully self-­‐contained sealed unit with OD 600 and temperature sensors. Smart induction charging allowing 35 uses. Simply replace with SMOD solo units, retaining the charger for further use. Simple and intuitive software to set up experiments to take measurements and view data. Save on expensive consumables and hours of time you usually use taking sample measurements. No more removing from incubators and opening of cell culture flasks before harvest. The growth of the obligate anaerobe Clostridium difficile CCOS 941 was monitored using the SMOD data provided by Dr. G. Dasen, CCOS (Culture Collection of Switzerland AG) and ZHAW (Zurich University of Applied Sciences). No more cell culture sampling at inconvenient times. Optimised cell harvests and growth trend analysis. Real time data wirelessly delivered to a lab PC and available on smart phones. The SMOD can be used to monitor the growth of anaerobic cultures. The growth of the obligate anaerobe Clostridium difficile CCOS 941 was monitored using the SMOD. 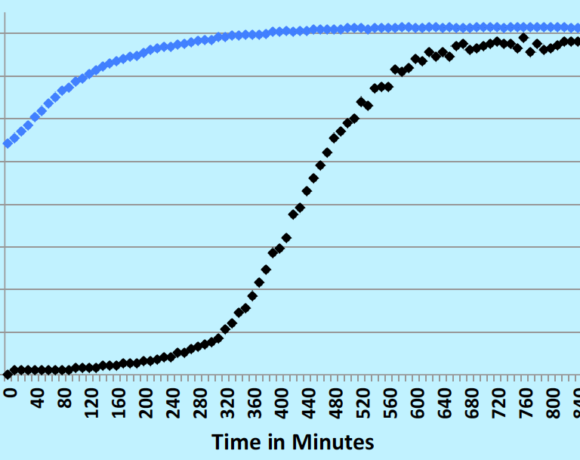 Cells were grown at a constant temperature (370C) with agitation (200rpm) and the Optical Density (OD600) and temperature measured by the SMOD over 14 hours is graphed. (data provided by Dr. G. Dasen, CCOS – Culture Collection of Switzerland AG) and ZHAW – Zurich University of Applied Sciences). SMOD is ideal in experiments to obtain the optimum induction time for protein expression and monitoring of the culture during protein expression. Figure 1. Using the SMOD for protein expression in Escherichia coli. 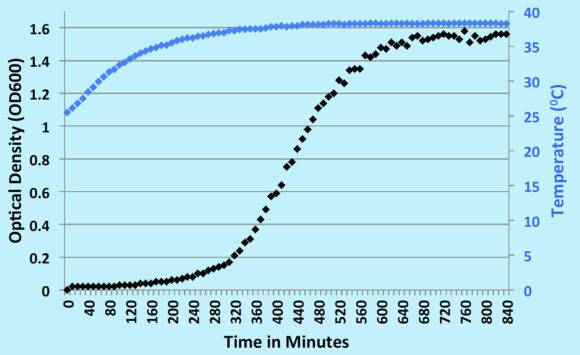 To demonstrate the use of the SMOD to monitor E. coli cultures during induction and expression of proteins. E. coli BLIM cells were inoculated into LB medium at an OD600 of 0.05 and the growth was monitored with the SMOD at a 15 minute time interval until an optical density of 0.5 was reached (Black arrows) . The culture was grown at constant temperature (370C) with agitation (200rpm). Then the cultures were removed from the incubator to cool to room temperature before induction. 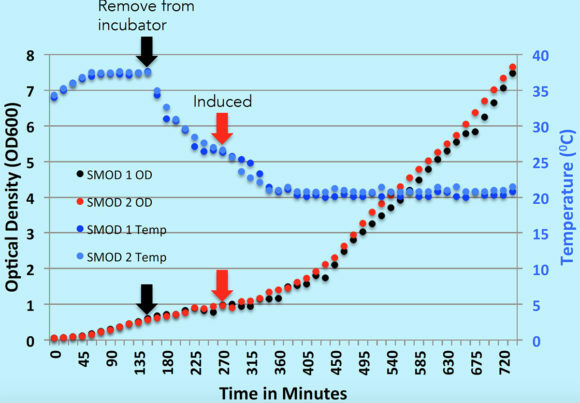 Once the temperature had dropped, protein expression was induced by adding Arabinose (concentration, Red arrows), and the cultures were returned to a 200C incubator and incubated for 10 hours at constant temperature (200C) with agitation (200rpm). 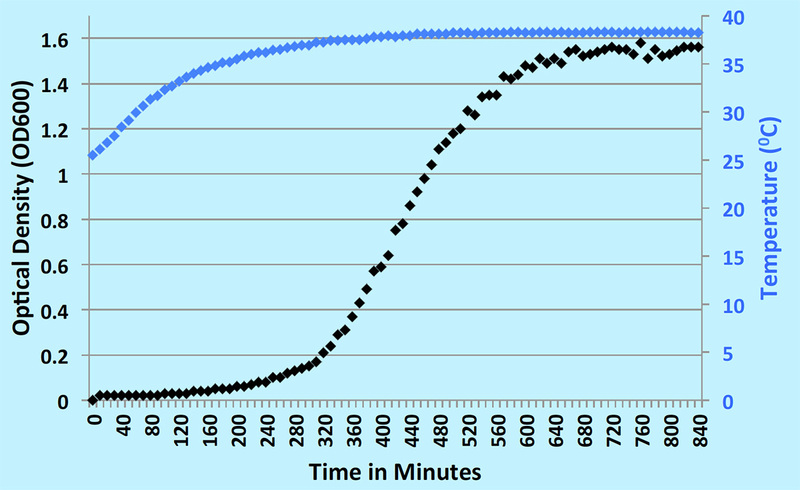 The Optical Density (OD600) and temperature measured by the two SMODs during the experiment is graphed. To download a document right click on the link and then select “Save link as…” from the dropdown menu. 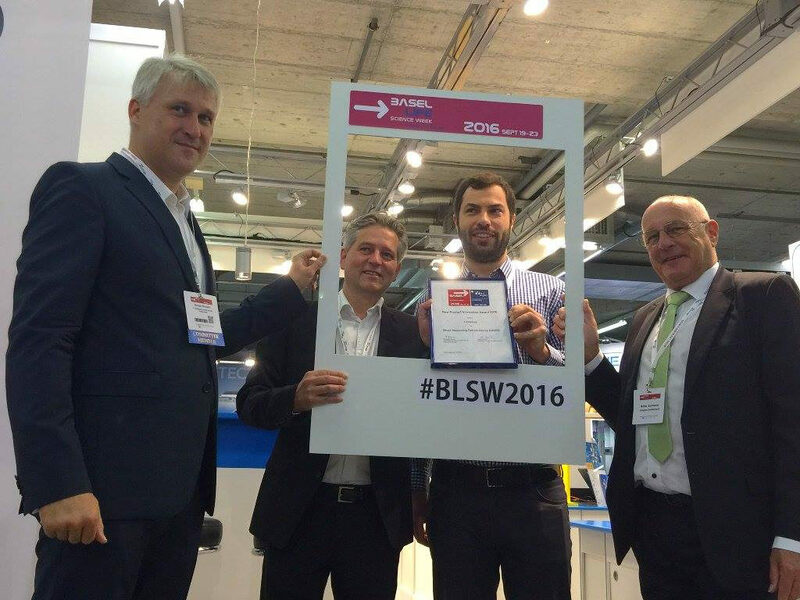 For further support please contact us at support@lifeonics.com. Before you download the SMOD Control Software we strongly recommend you read the Getting Started Guide. The current version of the SMOD Control Software can be used with up to 7 SMOD at any one time. An upcoming update will allow an unlimited number of SMODs to be used concurrently. Any SMODs you purchase will work with all versions of the software. SMOD is now available to purchase from selected distributors. For more information or to make a purchase please fill out the following form or email us at info@lifeonics.com.